In commemoration of the Defender’s final year of production, onlookers at the 2015 Revival were treated to a jaw-dropping display of Series vehicles, gathered together by Land Rover for a valedictory lap of the historic circuit. 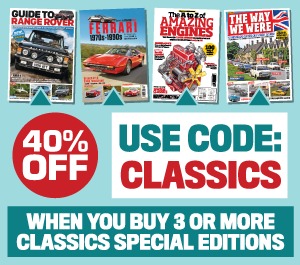 The legendary motoring extravaganza is devoted to machines from the venue’s post-war glory days, from its opening in 1948 (sharing the anniversary with Land Rover) to its final race meet in 1966. High-powered, big-budget classic race cars are the usual highlights of the international retro fest, but this year it was the large assembly of humble Land Rovers that stole the spectators’ hearts. 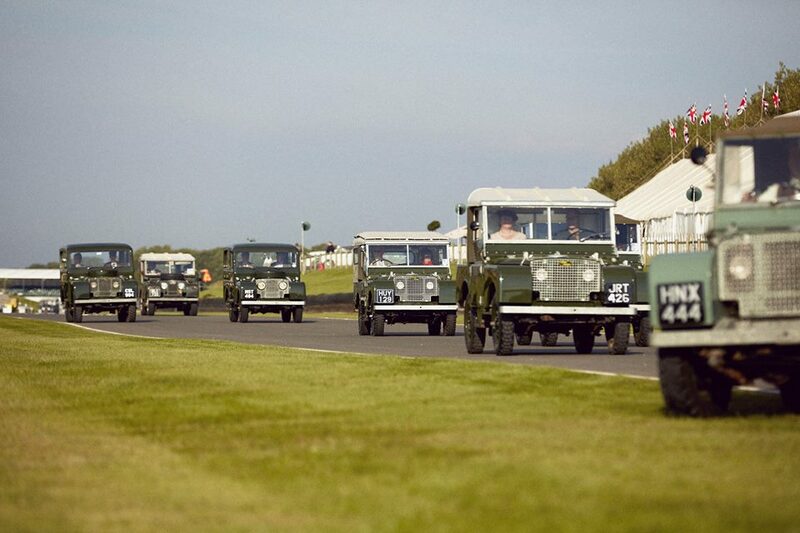 Fifty-two pre-1966 Series vehicles joined the spectacular parade in the early morning sun around Goodwood’s racetrack. Leading the way was Dunsfold Collection’s replica of the 1947 centre-steer prototype, followed by HUE 166, the first production Land Rover, carrying a rather special human cargo. Roger Crathorne, Land Rover’s veteran engineer and off-road demonstrator, took the wheel, with none other than living legend Arthur Goddard in the passenger seat. Goddard was Land Rover’s Chief Engineer from 1948, and had flown to the event especially from his home in Australia. Also joining the vanguard were nine further pre-production 80in vehicles, making it probably the largest single gathering of driving pre-pros since the 1940s. Behind them was a wonderful collection of gleaming Series vehicles, including fire engines, a Dormobile and military vehicles, including UKE 80, the Series I formerly owned by Winston Churchill.